Click on the Login link located in the upper right corner of the page. 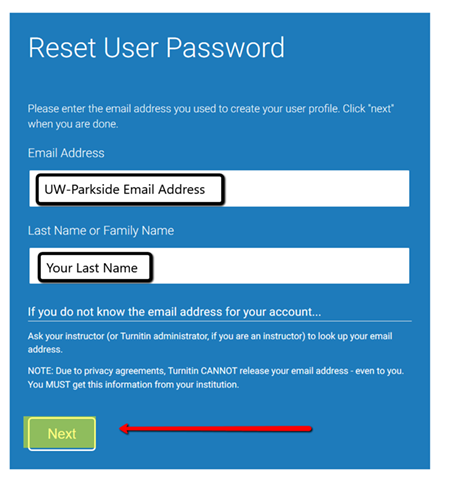 Enter your UW-Parkside email address and then click on the link next to Forgot your password? On the Reset User Password screen, enter your UWP email address and your last name, then click on the Next button. 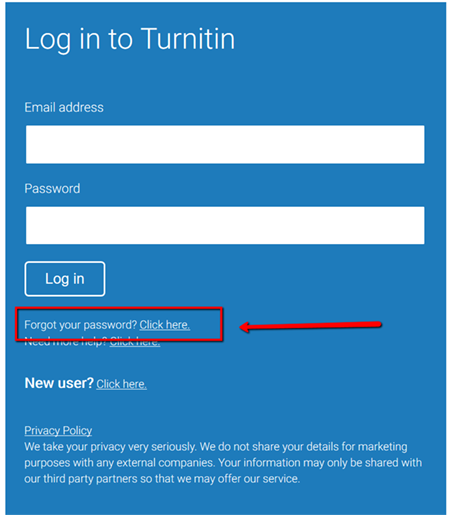 Follow the instructions provided in the password reset email you receive from Turnitin. Note: Your Turnitin password is not your UW-Parkside password, therefore, UW-Parkside technical support will not be able to reset it for you if you forget it.